Fresh Tracks Transportation provides shuttle service between the Denver International Airport and Breckenridge, Colorado. 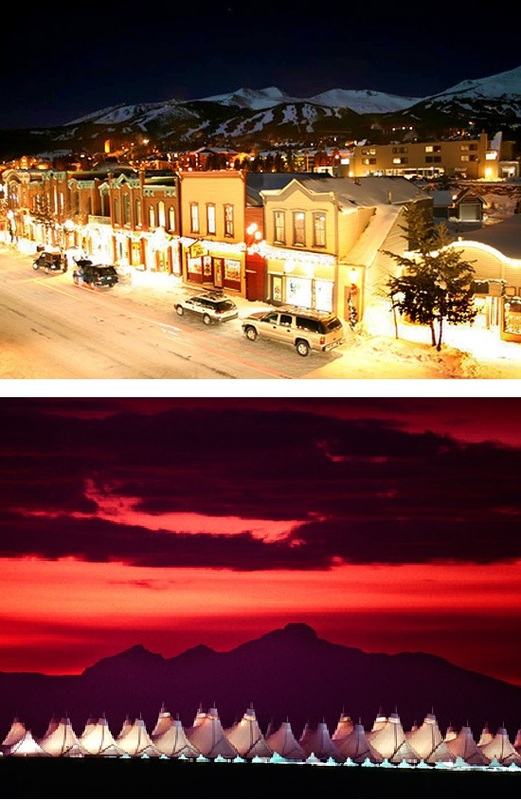 With our services, getting airport shuttles to Breckenridge has never been easier. We offer a daily schedule through the entire winter season offering multiple Breckenridge to Denver shuttle times. No matter when your flight lands or departs the Denver International Airport, we’ll have a shuttle time that suits your Denver to Breckenridge needs. One of the great advantages of traveling to this area for your ski vacation is there are six world class ski resorts within an hour of one another and the Denver International Airport is in close proximity to these ski areas. Shuttle service from Breckenridge to Denver takes approximately 1 hour and 45 minutes. Frisco to Denver shuttles take approximately 1 hour and 30 minutes. Keystone transportation to the Denver Airport takes approximately 1 hour and 30 minutes. Shuttles between DIA & Copper Mountain takes about 1 hour and 30 minutes.Denver to Silverthorne shuttles take approximately 1 hour and 30 minutes. Denver airport to Dillon shuttles take approximately 1 hour and 30 minutes. As you can see, no matter where your final destination is in Summit County, the Denver International Airport is just around the corner. Fresh Tracks also offers chartered Breckenridge to Denver shuttles, as well as charter shuttles to Keystone, Copper Mountain, Frisco, Dillon and Silverthorne, Colorado. Our chartered Breckenridge to Denver Airport Shuttle is designed for groups up to 10 people at a time or for any group size seeking a more personalized service between Breckenridge and the Denver Airport. One of the many benefits of our chartered Breckenridge shuttle are courtesy stops along the way for things like groceries, ski rentals etc. It’s a great way to save time and the frustration that comes with trying to get transportation for these errands once you’ve arrived at your hotel. Guests who reserve our Denver to Breckenridge transportation can expect the highest level of service in the Rocky Mountains. Over the past eight years of providing transportation to Breckenridge from Vail, Beaver Creek, Keystone and Copper Mountain, we’ve been able to refine our services to offer exactly what our guests want and need. With our Breckenridge airport shuttle, Keystone airport shuttle, Copper Mountain airport shuttle, Frisco airport shuttle, Dillon airport shuttle and Silverthrone airport shuttle services, transportation to the Denver International Airport has never been easier or more affordable. Please contact us today for rates & availability. We offer two types of transportation between the Denver International Airport and Breckenridge, Keystone, Copper Mountain, Dillon, Frisco and Silverthorne; Shared Ride Shuttle Service which places multiple parties with a similar destination in the same vehicle and Charter Shuttle Service which is a private vehicle for groups of up to 1O passengers including luggage. 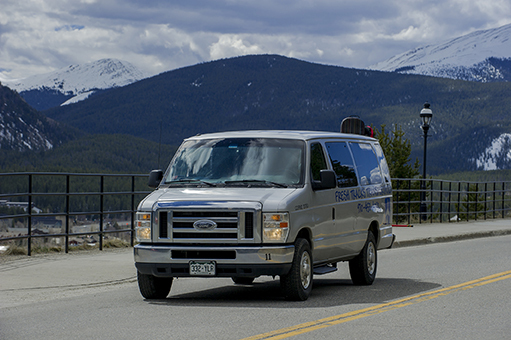 Our charter shuttle service between the Denver International Airport and Breckenridge is designed for groups or any size party that seeks privacy and more personalized attention. Guests who choose our charter Denver to Breckenridge shuttle service can expect quality transportation at an affordable price that caters to your itinerary.